HIS Church exists to save the lost and grow the found. 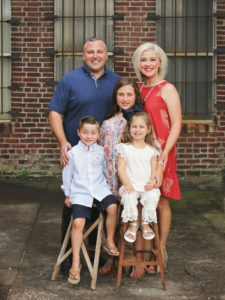 Brian & Jessi Gibson were called by God to move to Owensboro, KY and plant a church. In August 2004, River City Church began organizing and grew to over 1,000 in attendance. David Brown grew up in Kentucky and at the age of 21, God saved him and delivered him from a lifestyle of sin, drugs and self-destruction. He became hungry for God’s word and plan for his life. He was called by God in 1983 to Amarillo, TX to pastor Victory Church. On January 20, 2019, River City Church in Owensboro, KY and Victory Church in Amarillo, TX became HIS Church: one church in two locations. The vision of HIS Church is to plant 100 campuses before we turn it over to the next generation. We’re so excited about what God is doing in HIS Church! What to expect at HIS Church? You’ll be welcomed into a friendly and casual environment by people who are excited to meet you. A typical service lasts about an hour. The worship is contemporary in style and the messages are practical and life-changing. The lobby is always full of smiling faces waiting to help you find your way. You will find a place to belong and a chance to make a difference. Introduce you to people you need to know. Walk you through the process of checking your children into HIS Kids. Brian & Jessi Gibson love the local church! They are founding pastors of River City Church (which is now HIS Church – Owensboro). After graduating from Oral Roberts University, they felt called to move to Owensboro, Kentucky to plant a church that would teach the truth of God in a relevant way. By faith, they moved to Owensboro and began organizing River City Church in August 2004. RCC launched the first Sunday morning service in January of 2005 with about twenty-five in attendance. Now, the Owensboro location has outgrown its’ last eight buildings and are over one thousand strong. After having 3 great kids and making lots of wonderful friends, Brian & Jessi are still reminding people every week that the Bible is true, God is powerful and church is fun!